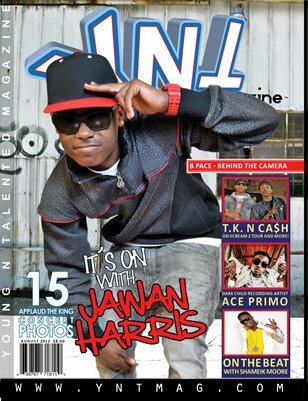 YNT Magazine presents Summer Issue featuring Jive Recording Artist Jawan Harris, Dark Chyld Records artist Ace Primo, B Pace from B Pace productions, Crown World Entertainment Alix Lapri, DTP very own TK N Cash, and so many more talents. Let YNT Magazine Bring you the hottest artist and stories on current models, and more surprises. Make sure you pick up a copy today! YNT You are now Plugged In!! !